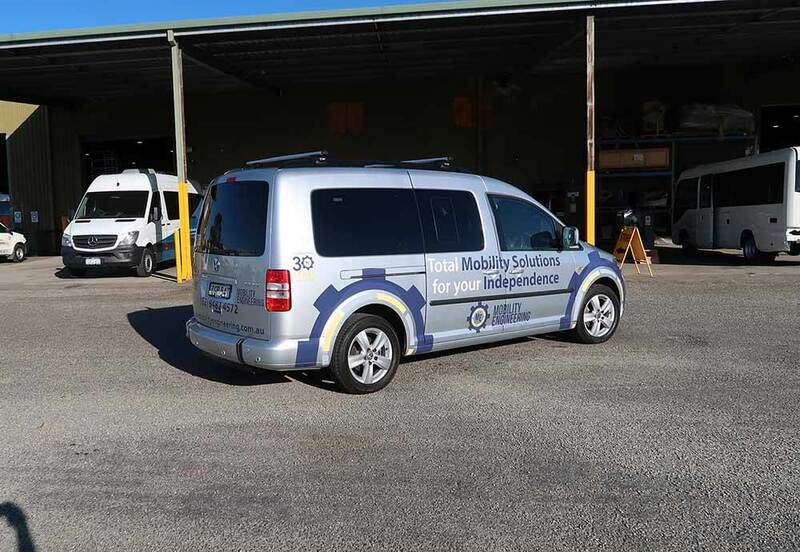 A ccessible Transit Specialists/ Omnibus Services Perth have recently formed a business alliance with reputable disability access equipment supplier Mobility Engineering, Sydney. WA clients can now visit our assessment centre at 20 Coulson way, Canning Vale, the product range can be accessed by occupational therapists and NDIS customers in Western Australia to get a hands on feel of the products on offer to ensure they are suitable to your needs. Contact Dave Mclaurin on 92563411 for further information or bookings. Mobility Engineering is a reputable team of passionate and dedicated people focused on bringing safe and suitable transport solutions for all walks of life. We specialize in helping those who are not as independent as many of us, with a strong focus on those who are challenged with Mobility, Children and like minded passionate vehicle owners. We offer a range of services all focused on getting you and your products safely into vehicles, compliant and registered. We specialise in and offer Australia’s largest range of Mobility Adaptation Products for vehicles, with solutions for almost every Mobility challenge, our range of products will ensure that no matter your ability and strength, we can get you driving and enjoying the independence you deserve! Some people may call this “Disabled” or a “Disability” but we do not see anything as hindrance to your ability, we see it as a challenge to get you on the road and independent. We are committed to offering all of our goods and services Australia-wide, our passionate consultants will travel anywhere in the country to provide are operate and strongly support a national network of installers/agents who can locally fit all the products we offer. Contact Accessible Transit Specialist for further information.